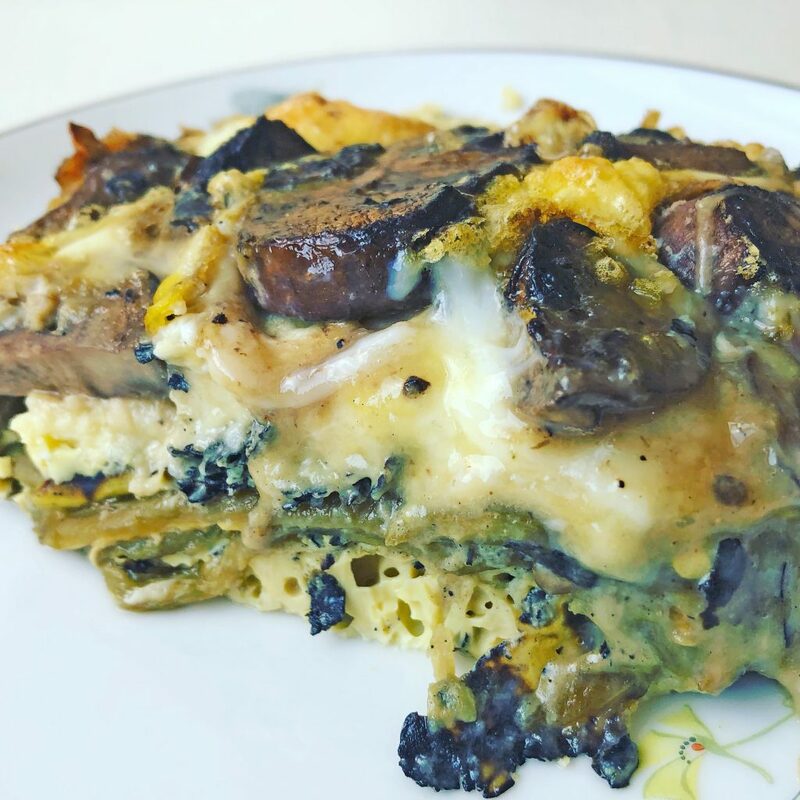 Whether you’re looking for a new breakfast or brunch idea or a main course for a light lunch or dinner, this filling quiche featuring a green chile “crust” fits the bill. 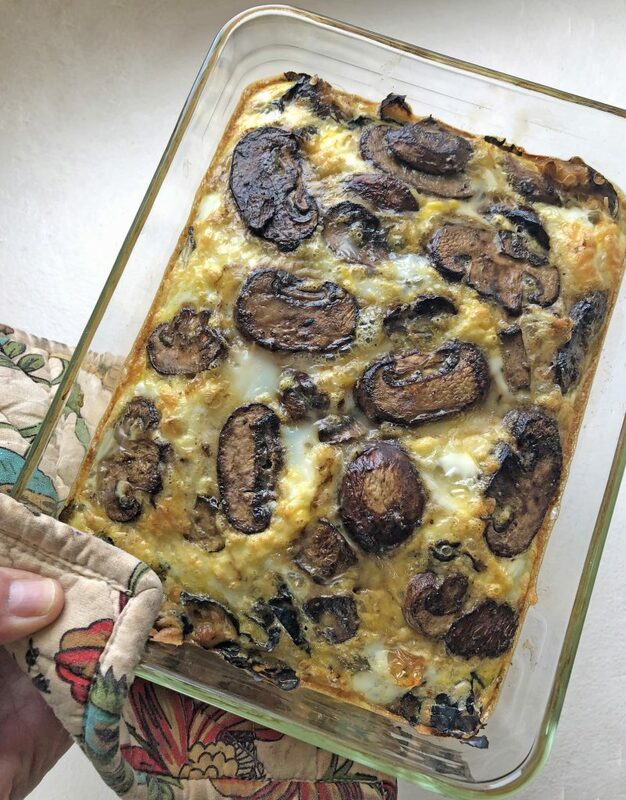 Plus, it comes together quickly and keeps in the refrigerator for several days, so you can make a pan in advance and cut it into slices for carrying in lunches, or reheating in the evening after a long day at work. 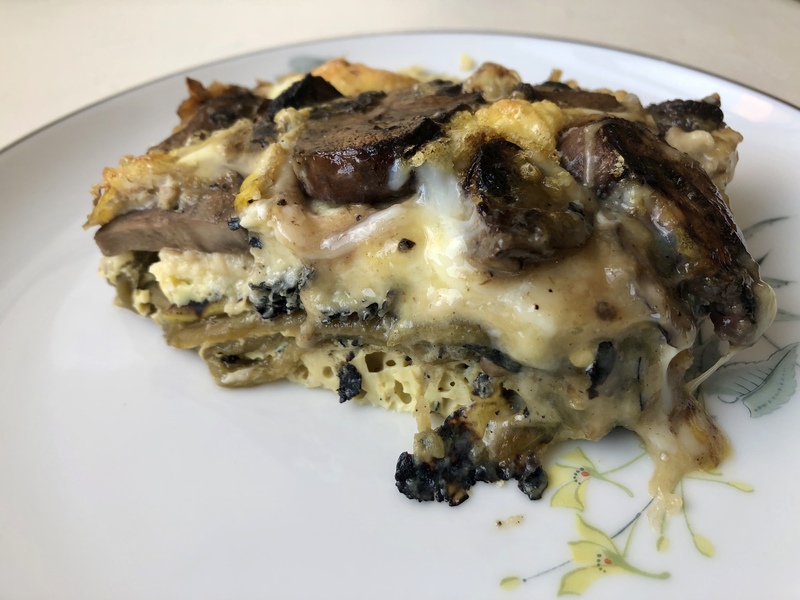 Roasted green chiles make a delicious “crust” for this quiche. You likely have some local, roasted green chiles from last fall hiding in your freezer. Take them out to defrost! If you don’t have any, check with your favorite grocery store and see if they wisely have the local favorite available frozen. This recipe is very flexible, so you can use a variety of vegetables, depending upon what’s in season and matches your personal taste preferences. You can find a list of seasonal vegetables here. This recipe makes enough to fill a 9-inch by 6-inch baking dish; increase the ingredients if you’re using a baking dish that is larger than this. The overall preparation remains the same, but remember to adjust the cooking time accordingly. Wash and chop your vegetables, and sauté them in some oil over medium heat until they are wilted, then set aside. Lightly oil a baking dish, and line it with the de-seeded green chiles. Don’t forget to line the sides as well as the bottom. Add the sautéed vegetables to the pan, making sure they are spread evenly over the green chile crust. Break your eggs into a bowl, add the water, and whisk until well combined. Pour the egg mixture into the baking pan. Top the quiche with the grated cheese. Bake the quiche in the oven for 30 to 45 minutes. Test to see if the quiche is cooked through by inserting a knife into the center; if it comes out clean the quiche is done. Slice this quiche into serving-sized pieces for quick, easy-to-heat meals.